The Pavilion is a striking setting for the ultimate Valentine’s Experience. It floats with effortless grace in the centre of a pond offering magnificent sunset views of the Bottelary Hills and Simonsberg. A candlelit path will lead to a magical bespoke setting for two. Your private butler will welcome you with signature cocktails and delectable canapes while you enjoy the sunset. A lavish silver service 4-course dinner prepared by Executive Chef Michélle Theron will follow. 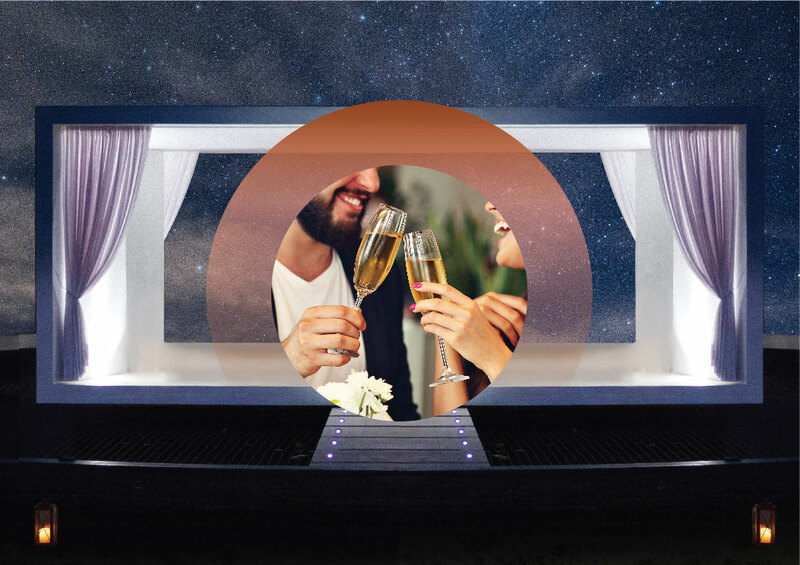 During dessert your favourite love song will be serenaded setting the tone for a possible magical moment which will be celebrated with Moët et Chandon Champagne. R15 000 per couple (includes the exclusive use of the Pavilion, all décor, butler, menu, all beverages selected from our menu, musician and photographer).